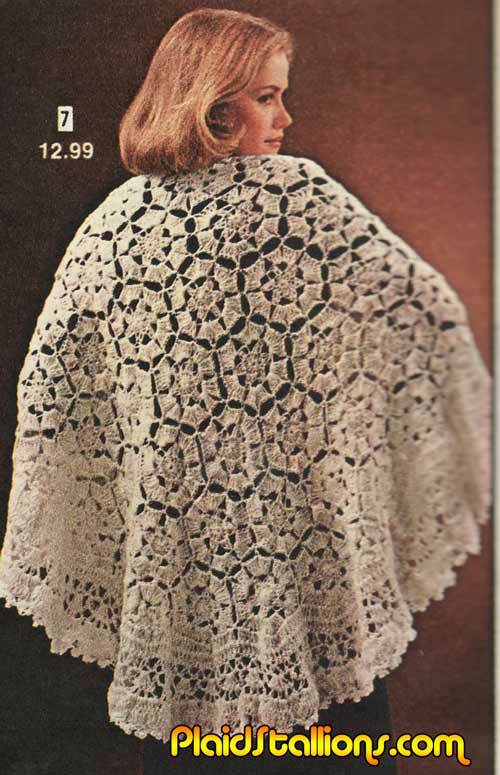 The Doiley Poncho, perfect that person who wants a poncho that does absolutely nothing to your body temperature and is completely ineffective against the elements. When not in use, simply store on top of your great grandmother's piano. 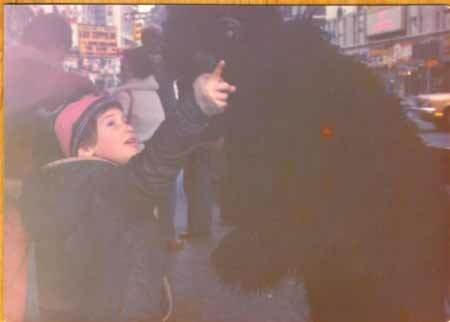 Zachary sent in this cool shot that has to be from 1977, seeing as it was the height of "Kong Mania". He tells me he's not sure why he's giving Kong directions in downtown Manhattan but it sure makes for a terrific photo. Hey, "The Song Remains The Same" is playing! Send us your Mall Appearance photos! 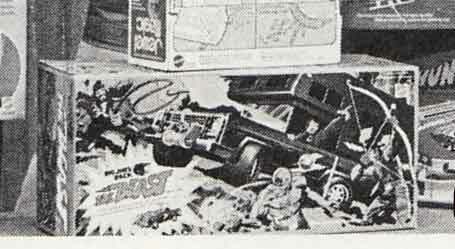 The beginning of the end for the Rack Toy giant, while the company would continue and prosper for the rest of the decade, it would also eventually fold it's toy division completely under the Remco Name. 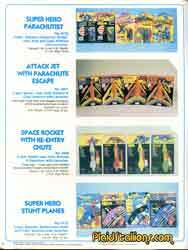 The 1981 AHI catalog almost looks like a lower cost copy of the 1981 Remco offerings, all the licenses Crayola, Superheroes and Mickey Mouse are present. 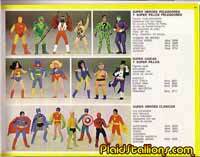 Even the Universal Monsters were back with some new offerings (no action figures as Remco was offering those). 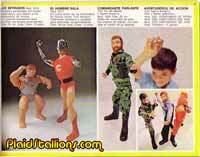 Oh how the unlicensed Gorilla stuff just came pouring out of everywhere in 1977. 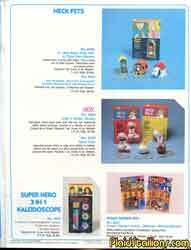 I'm pretty sure I didn't own one piece of licensed Kong Merchandise (most of which was made by Mego) but had plenty of this generic stuff. 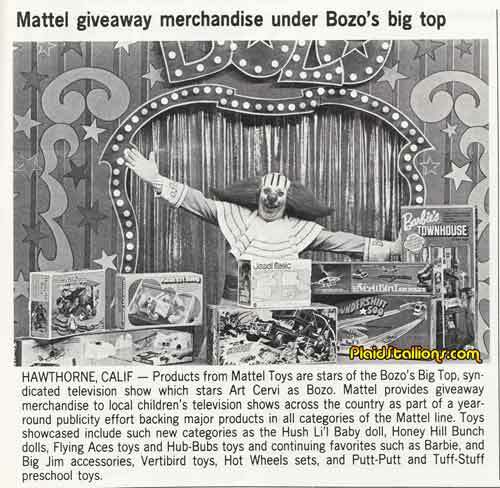 I'm loving this 1976 press release about Bozo and Mattel, a lot of the things being given away are really collectible right now. 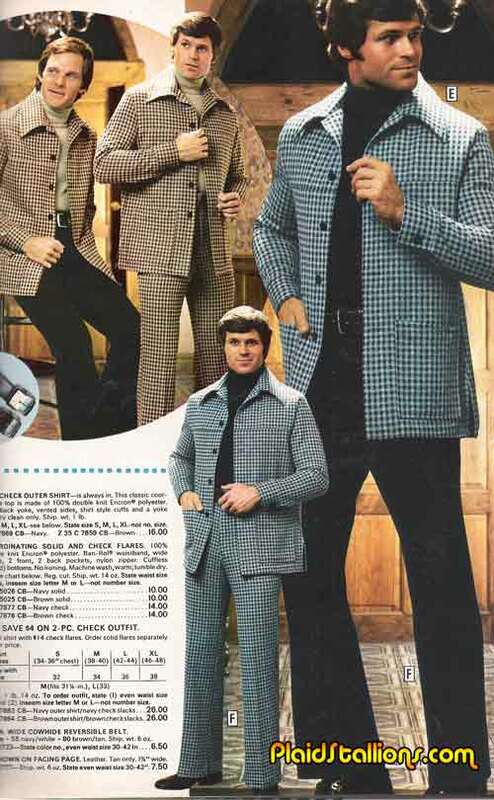 Of course my favourite of the shot is the Big Jim P.A.C.K Beast that is front and center. 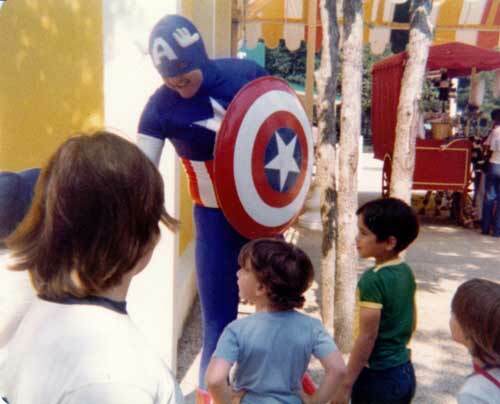 David T sent in a big pile of goodies recently and I think my favourite of all is this cool pic of Captain America shaking hands at Six Flags Great Adventure in Jackson NJ in 1976. That shield is awesome. NERF stands for Non-Expanding Recreational Foam (thanks wikipedia!) and was first introduced to households in 1969 as the the first indoor ball, With it's success, saw many other application for this fun and safe material. 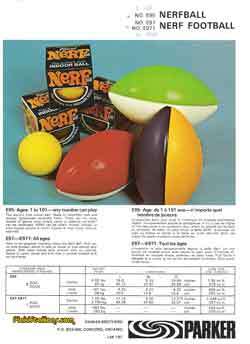 40 years after it's introduction, NERF is still widely available which is a testament to how timeless an idea it really is. 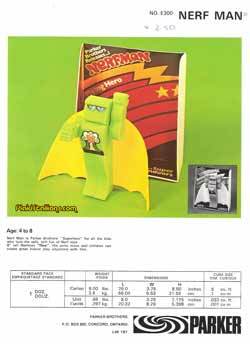 1976 was a good year for NERF, we've go planes, cars and missiles as well as NERF's own Superhero in NERF MAN! 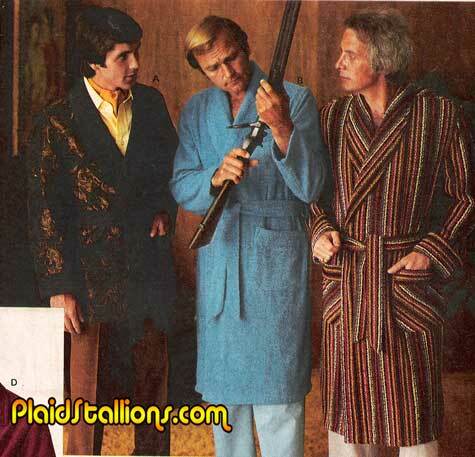 This catalog is kind of special to me as it belonged to my dad and you can see some of his pricing notes on some of the pages. Click on the pages for a better view. Truly one of the more WTF? 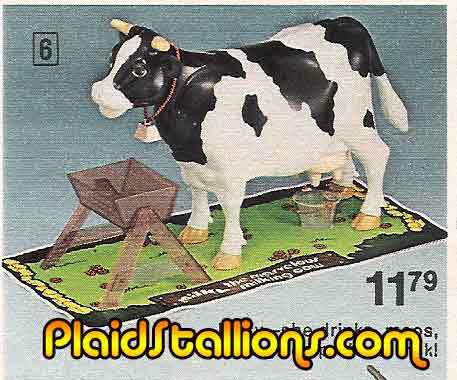 toys of the 1970s, Milky was based on the assumption that children would want to play with a cow's teets endlessly. You see, Milky drinks water and then you're encouraged to milk her. That's it, that's all! Theres a tarp so you don't make a mess. Is anybody else more than a little creeped out by this toy? 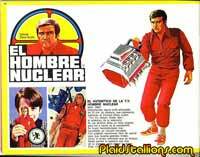 I'm going to go out on a limb and say that 1977 was probably a busy year at Kenner, they had Six Million Dollar Man money and their latest license, Star Wars was exploding at the box office and the demand for product was insane. Somehow Milky just slipped by, either that or it was the result of martini lunch dare. 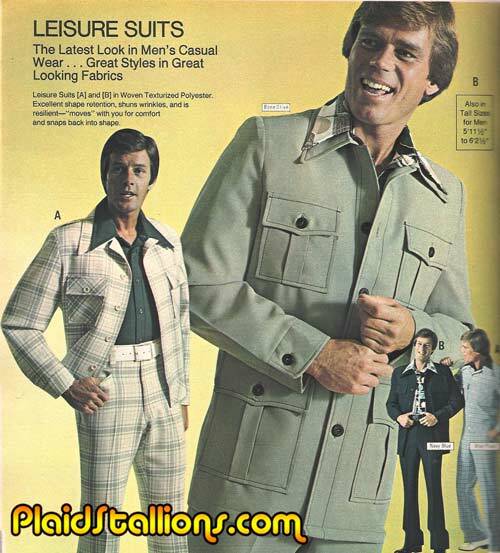 34 years ago men everywhere nodded in approval of this hot new look. I ask you, can you blame them? 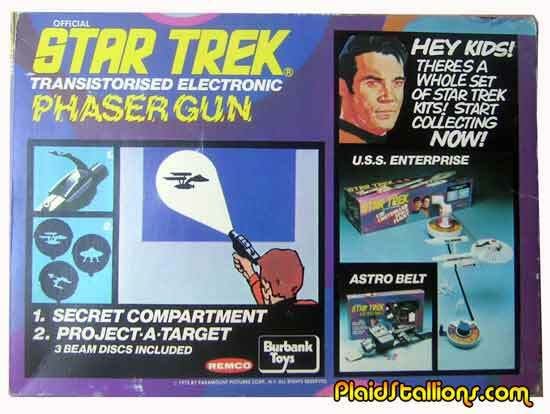 I'm a sucker for purty toy packaging and these shots of the UK version of the Star Trek Phaser just had me drooling. 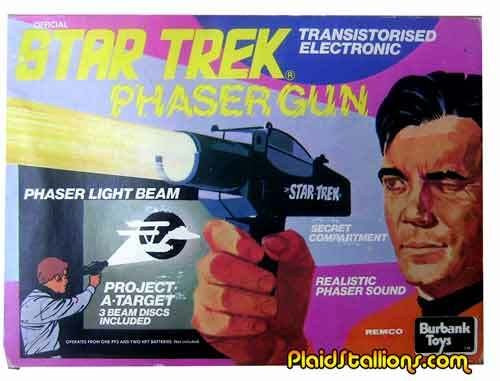 It's so nice that I'll forgive the dye job on Shatner's hair. Thanks to Ebay seller retrotoyboy for letting me use these. 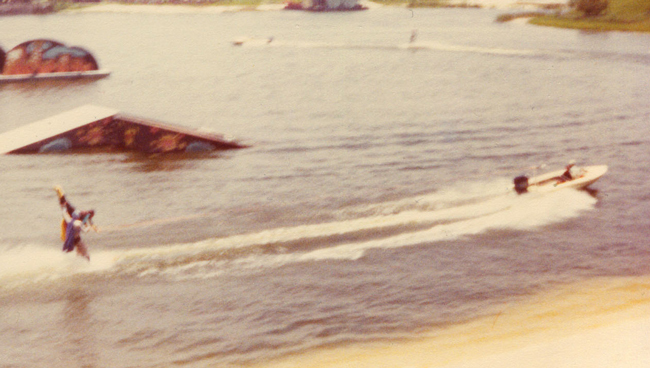 It's hard to make out but that's Batman and Robin hoisting Batgirl on their shoulders in the picture from SeaWorld. 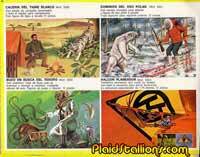 This scene isn't far removed from something you'd see on the 1966 series. 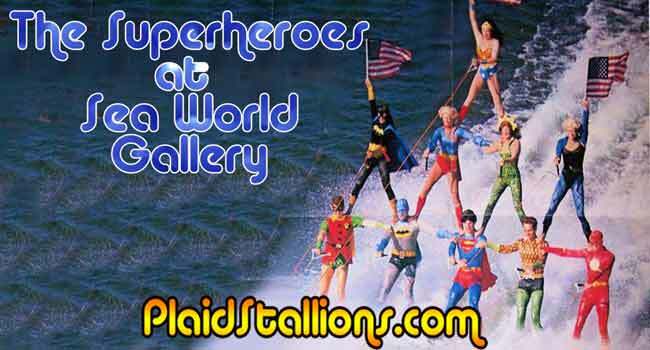 This picture is again courtesy of Steve C.
More Aquatic Superheroics next week. And if you have anything to add, I'll be your friend for life. 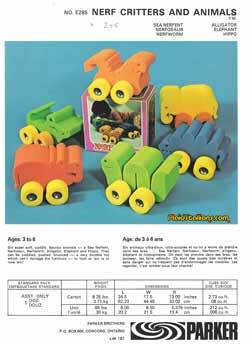 Lili Ledy was Mexico's premiere toy manufacturer and because of trade restrictions, all toys they sold had to be manufactured in Mexico. 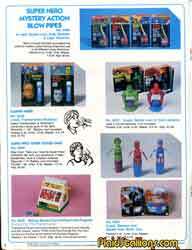 So many of the popular US lines were licensed and then produced by Lili Ledy resulting in wonderful variations that toy collectors hunt for to this day.